Filling seed starting trays and pots. What a blessing your greenhouse is! You get to start “green therapy” earlier in the season. . . I am just jealous. . .
Hi Stacey, we’re all jealous you get a head start in your ‘oh-so-cute’ green house, when we’re still eyeballing snow and cold temps on the thermometer. 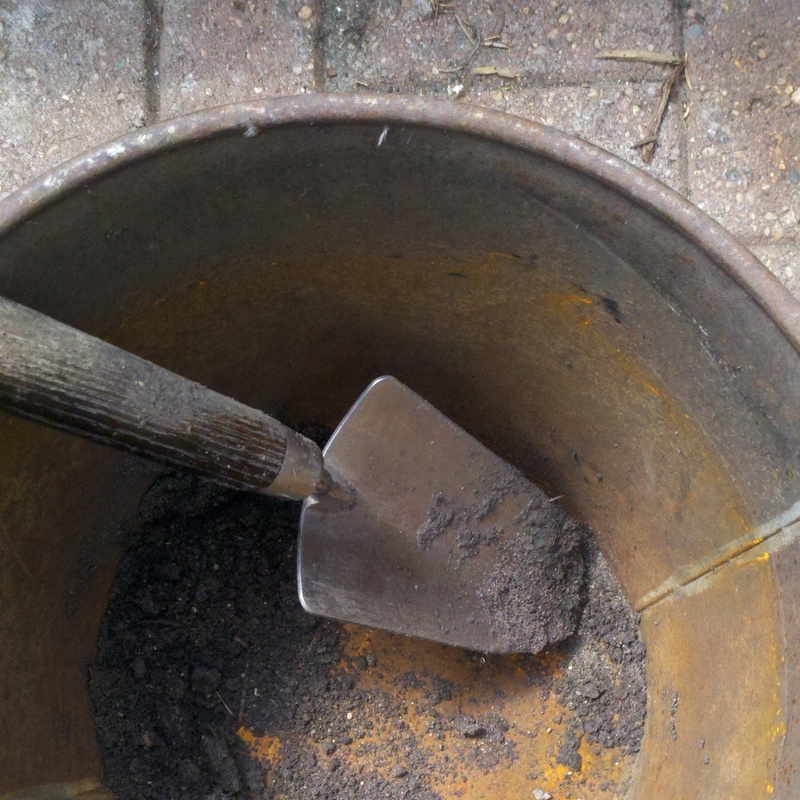 Do you mix up your own starter soil or use a commercial mix? When I worked at a garden centre, we’d plant loads of seeds, then transplant seedings, then transplant again and again until we opened in May. So labour intensive. I never complain about plant prices because I think they should cost more given the work they take.